Just because you are raising your kids in a Christian home doesn’t mean that they’re automatically getting the spiritual training they need. Parents need to be intentional about bringing their children up with Biblical values. They won’t just learn them by accident. 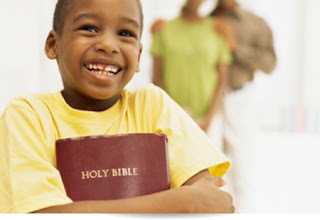 We need to step up our efforts in making the spiritual growth of our kids a top priority. Recently, George Barna, noted Christian researcher and author, was a guest on our radio broadcast, HomeWord with Jim Burns, and he provided keen insights, sharing five tips for transforming our kids into spiritual champions. 1. Help Kids Grasp Their Purpose. No one ends up on earth by accident. God places us here for a purpose. That purpose relates to how we fit into God’s kingdom — how we will know, love and serve God in this life, and then become a blessing to everyone with whom we come in contact. The problem is that even though a person’s habits and mindsets are formed at an early age, many parents have no plan for helping their kids discover who God has created them to become, and thus leave this to circumstance and chance. Parents are key to helping kids discover their purpose. This means helping kids establish a Biblical worldview, as well as teaching them about their uniqueness and value as a child of God. It also specifically means reevaluating the definition of success, transforming it from a popular cultural view (good job, good citizen, making money, possessions…) to a Biblical view (commitment, faithfulness, servanthood, sacrifice…). 2. Fan the Flames of Passion. Too often, our kids see little passion in Christians. This generation of kids, mosaics as Barna defines them, don’t want to just spend time on earth during their lifetimes. They want to pour themselves into a cause, to make a difference with their lives. There is nothing more important in life than loving and serving God. So our kids need to see a burning passion for Christian life - loving God and loving their neighbors — embodied in their parents. We have got to give our kids a reason be passionate about their faith. 3. Strengthen Kids’ Perseverance. Helping our kids develop perseverance means that, as parents, we have to be proud of the fact that we’re Christ-followers. We’ve got to face the fact that living out a dynamic faith means that there will be opposition and persecution (see 2 Timothy 3:12), and that we are willing to make a stand for our faith. Part of the strength to persevere comes from involvement with a community of fellow Christ-followers (the church) who can encourage our kids, support them and pray for them. Further, our God calls us to challenges that are beyond our own means to accomplish. This is by divine design and forces us to rely upon God in order to be up for the task. This reliance, fostered by an intimate relationship with God, builds perseverance. As we talk about the need to rely on God to our children and then model that same reliance in our own lives, this key quality of perseverance will grow in their lives. 4. Help Kids Tap into the Power Source. Kids don’t naturally understand the power that is available to them to make a difference with their lives. They need to be taught that our ultimate power source is God. The Apostle Paul, writing to the church in Ephesus, declared that the same power that raised Christ from the dead is available to each Christ-follower (see Ephesians 1:19-20). Still, our kids are growing up in a culture that boasts other power sources (money, influence, force…). Parents must help kids discern that while other power sources have a place, their ultimate source of power comes from God. It comes back to parental modeling, once again. Our kids see who and what we rely on in difficult circumstances, or when we want to accomplish something. Our lives need to demonstrate that we are plugged into and rely upon God for our strength. 5. Point Kids to True, Lasting Pleasure. We live in a culture that places ultimate value on personal satisfaction and pleasure. Yet, the pleasures our world affords are often fleeting (see Hebrews 11:24-26). God’s Word provides a different take on what real pleasure looks like. True pleasure comes from the fulfillment experienced in loving and serving God. It’s about living a life of sacrifice, living for more than just ourselves. There’s no doubt that this is difficult to do—for us and for our kids—and as our kids take a stand for what is right, rejecting some of the pleasures their peers are seeking, they will lose friendships along the way. But part of the cost of being a Christ-follower is embracing self-sacrifice, for God’s higher purposes. Jesus said, “Whoever finds his life will lose it, and whoever loses his life for my sake will find it” (Matthew 10:39). It is in this apparent paradox that our kids will find true, lasting pleasure. Transforming our kids into spiritual champions is definitely a process. Parents need to intentionally think through what success looks like in their kids’ lives. What is the end point of your parenting years? No one can hit a target that is undefined. Random, spontaneous parenting is a recipe for failure. But it’s not too late to start! Begin thinking through what you want your kids to look like as they mature into adults. Make a simple list of what you want to see happen in your child’s life. Then, start small. Take a small step, right away. Remember, doing something, even small, with intention is better than doing nothing every time. The important thing is to begin the process!